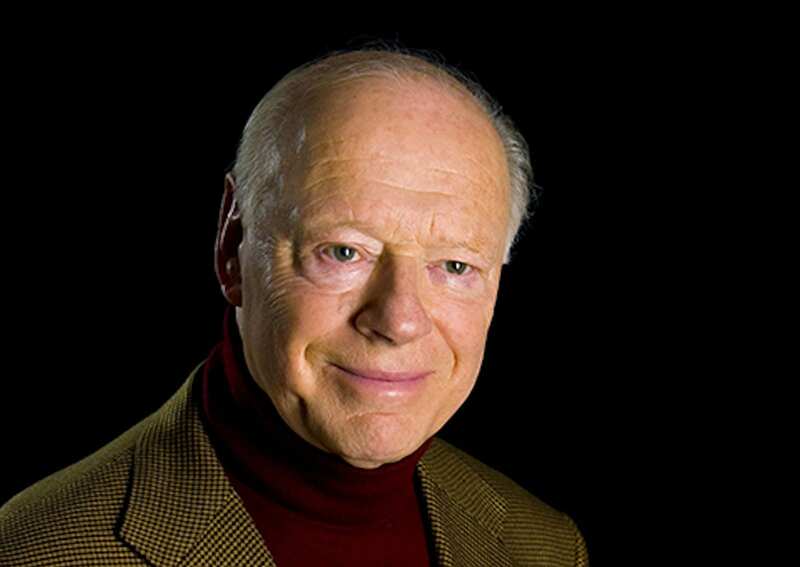 Bernard Haitink was born and trained in Amsterdam. His conducting career began in 1954 at the Netherlands Radio, where he took part in their intensive conductors’ courses, and where in 1957 he became the Chief Conductor of the Radio Philharmonic Orchestra. He went on to become Chief Conductor of the Concertgebouw Orchestra for 27 years. He is now Patron of the Radio Philharmonic, and Honorary Conductor of the Royal Concertgebouw Orchestra. 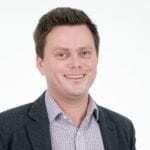 He also held positions as Music Director of Glyndebourne Festival Opera, The Royal Opera, Covent Garden, and as Principal Conductor of the London Philharmonic Orchestra, the Staatskapelle Dresden and the Chicago Symphony Orchestra. 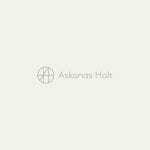 He is an honorary member of the Berlin Philharmonic, the Chamber Orchestra of Europe and in 2019 was made an honorary member of the Vienna Philharmonic. 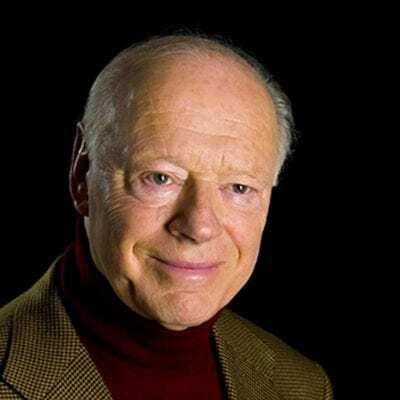 This season Bernard Haitink returns to the Chicago Symphony, the Royal Concertgebouw, and the Bavarian Radio Symphony Orchestras. The London Symphony Orchestra marks his birthday in March with a series of concerts, and he also conducts the Chamber Orchestra of Europe, Orchestra Mozart, the Berlin and Vienna Philharmonic Orchestras, as well as the Netherlands Radio Philharmonic, with whom he performed his first public concert. 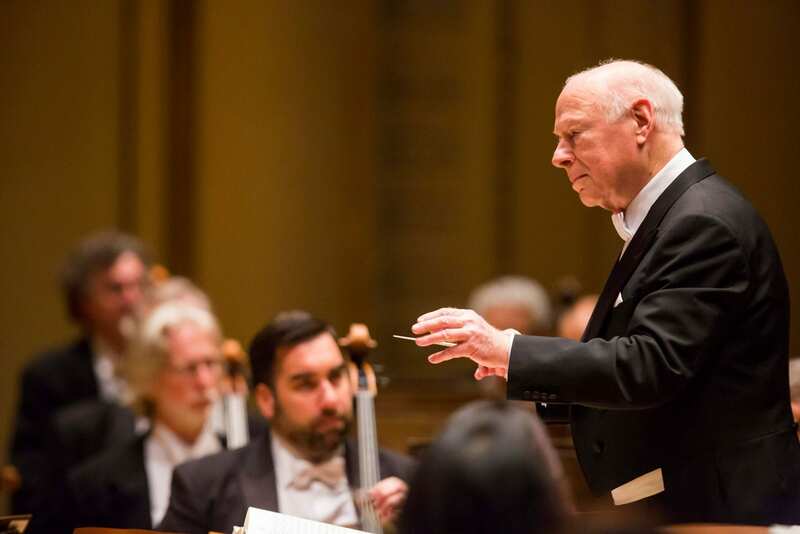 “A perennial BSO guest with the title of conductor emeritus, Haitink has led a conducting career of more than 60 years, and Thursday night, his manner was deliberate and subtle, with no gesture wasted as he let the music speak for itself. “At the weekend, Haitink, a robust 87, celebrated 50 years’ involvement with the annual “Swiss Proms” and conducted the Lucerne Festival Orchestra in a staggeringly assured performance of Bruckner’s Eighth Symphony, an epic adventure in Romanticism that was a perfect showcase for this large orchestra made up of Europe’s finest players. “The miracle of Bernard Haitink is that, as the eminent Dutch conductor advances in age, his conducting appears to become younger. So it was on Thursday night at Symphony Center, where the former principal conductor of the Chicago Symphony Orchestra returned to the CSO subscription series to lead works by a composer long associated with him, Richard Strauss, and another composer, Mozart, whose name is not often linked with his but whose music he also approaches with great sympathy. 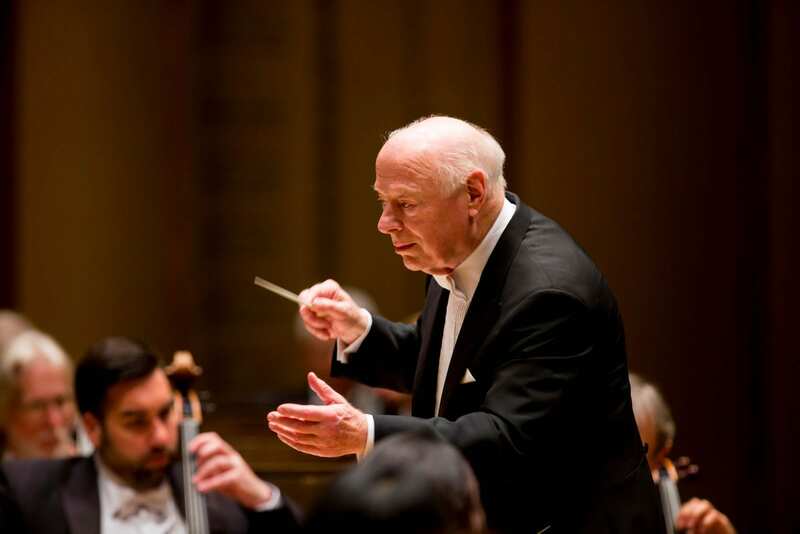 Haitink, who turned 87 in March, exudes precisely the sort of unforced command and mellow authority needed to make a convincing statement of Strauss’ An Alpine Symphony, and he did so eloquently Thursday. … For too long Strauss’ final symphonic poem was derided as being inferior to its predecessors, but, over the years, more frequent performances under discerning conductors have shown us there is much more to the Alpine Symphony than proto-Hollywood bombast and splashy sonic effects. “Haitink’s long experience with the Mahler symphonies, which goes back to his 27 distinguished years as chief conductor of the Royal Concertgebouw Orchestra of Amsterdam, combined with the taut corporate musculature of a great Mahler orchestra to present a difficult piece in the best possible light. The strengths of Thursday’s performance spoke to the still-remarkable orchestral command of Haitink, who turned 86 last month. Not since the onset of his tenure as CSO principal conductor in 2006 has his music-making felt so alive, so fully engaged. Haitink was best where Mahler is best, in the three central movements – two ‘night musics’ surrounding a phantasmal scherzo. He secured playing of great delicacy and subtlety that threw the audacious originality of Mahler’s scoring into high relief. The cowbells and birdcalls of the first ‘Night Music’, sounding as if from across a distant alpine meadow, were as full of atmosphere as the gentle serenade of guitar and mandolin in the second. As for the scherzo – a sinister cross between a waltz and a landler – his steady hand and refusal to exaggerate allowed the music to speak for itself. The movement is filled with grotesqueries that go bump in the night, from the rude honks of the bassoon to the mighty thwacks of pizzicato double basses, and the CSO musicians had a ball with each and every delicious effect. “The names of Anton Bruckner and Bernard Haitink are, to many, linked indissolubly. And certainly the imperturbable Dutch conductor has a sure hand when it comes to sculpting the Austrian composer’s ‘cathedrals of sound’, as they are often described. With the members of the London Symphony Orchestra straining every sinew, this Bruckner Eight, given in the composer’s own more densely scored revised version (as edited by Leopold Nowak), was delivered with exceptional intensity and blazing integrity. … What Haitink presents us with is not so much emotional vicissitudes as sublimated passion. And such is his authority — especially in a performance as powerful as this — that one has little option but to accept the overwhelming surges of self-confidence as the essence of the work. Indisputable too is the superb craftsmanship of Haitink’s conducting: the way he builds up the mighty edifice of sound, brick by brick, layer by layer. “One of the essential arts of Bruckner conducting is to know when to take a breath and when to press on while avoiding wilfulness in either direction. This is a crucial requirement in the deeply troubled C minor Eighth Symphony, which is very long and constructed out of multiple paragraphs. Experience suggests that this flexible art comes with age and long familiarity. 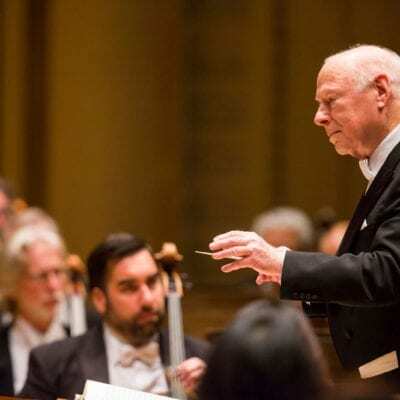 It is an art that Bernard Haitink now possesses more than any other living conductor. It was magnificently present throughout this performance of the Eighth, in the now customary Nowak edition, with the London Symphony Orchestra. It was quite simply a privilege to hear such Brucknerian mastery at work. Haitink also understands that none of Bruckner’s symphonies is worse served by all the stock cliches about sonic cathedrals and religious glory than the Eighth. Bruckner’s last completed symphony is a work of doubt as much as certainty. Its constant symphonic striving, often through long periods of minor-key anxiety and darkness, advances towards a summation that it longs for but which it never quite manages to attain convincingly or for long. Haitink allowed all the painful honesty of this work to unfold from the first bars to the last, but it was never more truthful than in the long and hesitant descent from the climax of the slow movement that, characteristically, is gone as soon as it arrives. 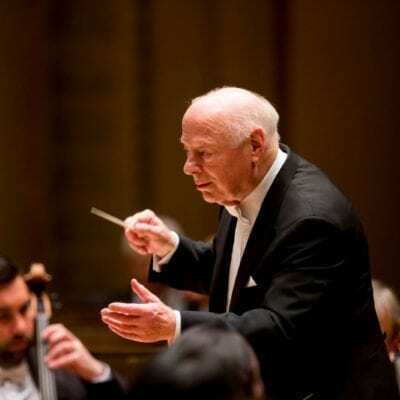 Few conductors have enjoyed such a rich and varied recording career as Bernard Haitink. In fact, it is unlikely there will ever again be a similar achievement. For well over 50 years, Haitink has made recordings, mostly for Philips, but also for EMI and Decca. There is a complete discography of his 26 year tenure as Music Director with the Royal Concertgebouw Orchestra. He has recorded the Bruckner Symphonies with the Vienna Philharmonic, the Ring Cycle with the Bavarian Radio Orchestra, the Mahler Symphonies three times in Berlin, Vienna and Amsterdam, Strauss operas with the Staatskapelle, Dresden, and a thorough recording documentation of his period as Chief Conductor of the London Philharmonic Orchestra and as Music Director at Glyndebourne. Even now as the global record industry wanes, and major orchestras develop their own record labels, we can still listen to his many recordings with the Chicago Symphony, Staatskapelle Dresden and of course with LSO Live. So we salute Bernard Haitink’s glorious career, so well documented in his enormous wealth of recordings. Bernard Haitink received many wonderful tributes on the night from fellow musicians, orchestras and record labels. 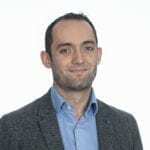 For a full list please follow this link.